The howling gales and damp autumn weather are about to draw in, with the days getting shorter and the evenings filled watching films under a blanket fort and cuddling up next to a warm log fire. That’s why we thought it would be nice to offer you the chance to lift those seasonal worries by winning one of our fantastic hampers! Impress your significant other with a romantic night in, enjoying some of the best award-winning champagne around, followed by luxurious Belgian chocolates and hand-baked cookies. Finished off with some aromatic freshly ground coffee, you couldn’t ask for a better way to escape the cold autumn weather while treating your loved one in the process. Click here to check out the full contents of the Champagne & Chocs Box. For a real touch of class, this hamper would be the perfect way to fend off those autumn blues and ideal for a cosy after-dinner drink and snack in front of a nice warm fire. The Fine Ruby Port is rich and smooth, the perfect partner for the award-winning, deliciously subtle and velvety Blue Stilton Wedge. With a selection of oatcakes, biscuits and delicious chutneys and pickles too, this hamper really is a cut above the rest. Click here to check out the full contents of the Luxury Port & Stilton Hamper. 1. Select your choice of the Champagne & Chocs Box or Luxury Port & Stilton Hamper using the Rafflecopter widget below. 2. Complete your entry by leaving a blog post comment explaining why you deserve your choice of hamper. The competition will close at 12 noon on Wednesday 30th September. Two winners will be selected, one for each hamper. I’d love to win the champagne and Choc hamper because there is nothing better right?!?! I would love the Chocolate one. I am nearing the end- hopefully of a 2 month illness that has thrown the whole family. It would be lovely to share this with them. I would love to win the champagne and chocs hamper to share with my daughter – she needs a treat because she is running around all day looking after her toddler son! I love the look of the Port and Stilton Hamper, I’d love to win one for my husbands Birthday as he’s been my rock. He’s helped me through some very dark times over the past few years, he does this all with such love and patience. I’d like to win this for me and my friends to share whom have helped me through a difficult job role change where I was been bullied to get a more calm and relaxed role and very happy only 2weeks into role! I’d love the champagne & chocolate hamper as my Mum’s about to turn 50. Luxury Port & Stilton Hamper please, I’m in need of comfort as I’m afflicted with empty nest syndrome since my daughters left for university… I’d get my bestfriend round and we’d share this whilst making plans to fill our time up! I’d love the champagne and chocs box, and I probably don’t deserve it if I’m completely honest . . . I think my friend Hayley deserves the hamper as she’s recovering from a very long illness and who doesn’t need a cheer up when they’re feeling bad? 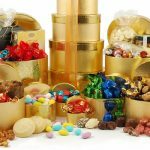 I would love to win the champagne and chocolates hamper. Have had a very sad and stressful year so far and am celebrating my Birthday in a couple of weeks and this would be the perfect treat to turn my luck around. The Champagne and Chocs hamper. I’ve never had a hamper so would love it. Champagne & Chocs Box for moi, I adore my champagne & it’s a treat that I enjoy very much & one that I can drink as most drinks don’t agree with me. I deserve it as much as anyone else but would definitely enjoy it more than anyone else! I would love to win the Luxury Port and Stilton Hamper. I’ve been quite unwell this year and my hubby has been man amazing husband to me and Father to our 3 children, whilst holding down a demanding job. He loves Port and Stilton and I would invite our friends and family who have helped so much, around to our house for a tipple and nibbles. ….because nobody else is going to buy me one……so the Champagne and chocs box pour moi would allow me to indulge a luxury moment alone – but who cares when things taste this good!! Just because. The champagne and chocs hamper as I love both of those things! I just like to have a nice treat for the family on a wet weekend in. I like the look of the Champagne & Chocs Box, not had champagne for a very long time and a girl can never have enough chocolates. I’d love to win the champagne hamper for my friends 50th birthday in 2 weeks! I would love to have the champagne and chocolate hamper to celebrate our 30th Wedding Anniversary. 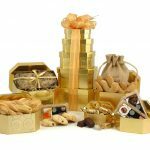 the Champagne & Chocs Box – a combo that can’t lose! the reasons are so numerous – she’s generous and kind. She’s sacrificed so much for me and says she doesn’t mind. She’d do anything for me and I feel I sometimes ask too much. And her own life didn’t often seem to be a sideline. and without her I can honestly say I would not have a life. I would love the Port and Stilton hamper to give to my hubby as a congratulations for being awarded his military MBE. i deserve a hamper because these are some of the few things i can still have after having a restricted diet for a year now due to crohns disease. also just because mummies always deserve a treat!! Luxury Port & Stilton Hamper – two of my favourite things! I absolutely love hampers. I actually don’t even mind whats in them, as it’s the surprise element to them that I like. I remember my first hamper was when I was around 13/14 and my Grandma made me one of bits of jewellery, make -up and sweets. That was it I was hooked. This is a super giveaway. Thank you for the chance. The Champagne and chocolates & the Port and stilton both sound gorgeous. I would love the Champagne & Chocs Box please. I have had a bad few days so this would cheer me up and would be a great welcome home hamper for my fiance to share! I have a birthday coming up and I shall probably be spending it alone, looking after the dog. I don’t mind actually 🙂 If i won the Deluxe Golden Hamper (or ANY hamper), that would be a treat! The Zombie Survival Hamper looks interesting! I’d like the Champagne and Chocs hamper just because I’ve had a busy week and would like a treat. I would love to win the champagne and chocs box for my mum and dad. They are both fantastic and do above and beyond daily for my family. The champagne hamper would be perfect. I recently got married after a 5 week engagement!! Although I’ve been with my now husband for 8 years, he arranged the whole thing with all my friends and famile – I had no clue. 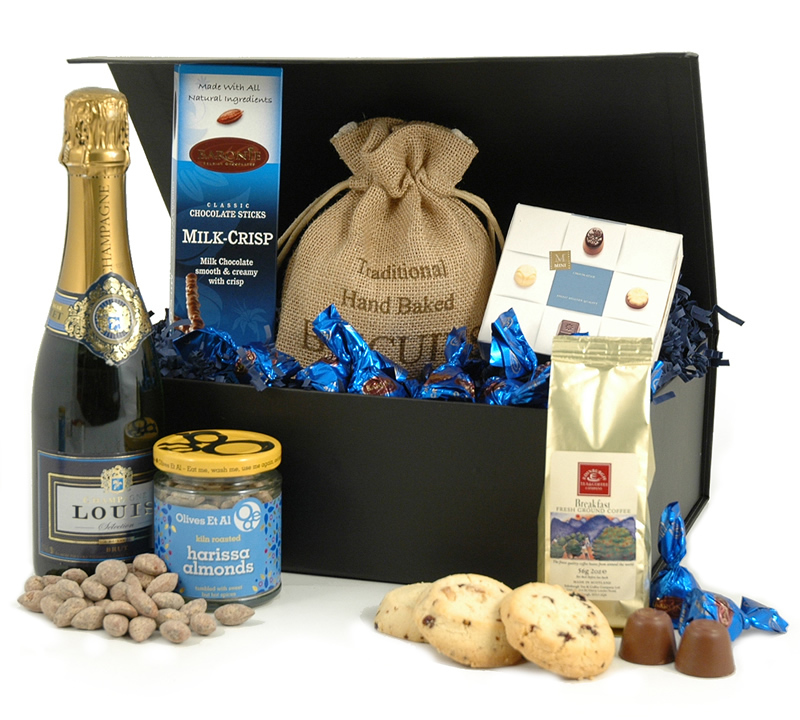 So, this hamper would be an awesome way for me to thank him – he’s a huge foodie so this would be perfect! I would love to win the Champagne and chocs hamper for my wonderful husband who looks after me, our son and holds down a full time job with the Ambulance Service even though he has health issues himself. We have been married 32 years and I would like to treat him. I would love to win the champagne and chocolates box. I’ve been working abroad a lot this year so haven’t really seen my family or partner for a whole year! I’m really looking forward to seeing them again and celebrating Christmas together and this would be the perfect accompaniment. I’m not sure I deserve it but I’d love the Port and Stilton hamper. The Champagne and Chocs box would be wonderful, such a lovely gift! I deserve a treat to help me through my first few weeks of my new job – I would love the champagne and chocs because its pure indulgence! I’m not entering to win for me, i’m entering to win for my girlfriend Sarah as a belated August birthday treat. We were on holiday over her birthday so her presents are still TBC. Don’t worry – i’ll still buy her some gifts. How about, you hook up the champagne and chocolate hamper, and i’ll cover the jewellery and perfume. Deal? Id love to win the champagne and chocs hamper as Im due my first baby BOY on christmas day so I would be able to celebrate his birth properly with the hamper. My little prince after 2 princesses. I deserve a treat after 9 months of being told I cant eat this & that! I just returned from a working visit tio China, which involved very long hours, overcoming jet lag and dealing with my fear of some of the food. I’m so pleased to be home, and this hamper would be perfect to celebrate being back with my family. I’d love the Champagne & Chocs Box after a really difficult year in which I and so many people close to me have undergone major surgery with varying results. I should win the Luxury Port & Stilton Hamper because my son was shocked when I told him that I’d never tried Stilton or any other blue cheese. I deserve this hamper because I have recently successfully interviewed for the position of line manager and boyfriend! The lucky lady (my girlfriend, not my employer) is from Birmingham, home of a famous chocolatier so I feel the Champagne and chocs box would be a fitting treat during my celebrations! I’d love the Champagne & Chocs Box, it’d be like a gift from me to me for all the running around I do after everyone else. I would love to win the port and cheese for my Husband. He loves both ! I’d love the Port and Stilton one, I deserve it because I’m pregnant and having to endure 9 months without Port and Stilton I think I deserve a treat! I’d love a Christmas Splendour Hamper because I’ll be spending Christmas with my son’s inlaws and we’ll be welcoming our new grandchild together so I’d love to win this hamper to give to them. I would love the champagne and chocs box..But i would share it with my daughter as she’s my world and we just moved her into her new Coach house and it’s been non stop for the last 2 weeks,so i think both of us deserves so TLC time. I would love the champagne and chocolates hamper. It would be nice to share it with my Dad as he is rather partial to chocolate & champagne. It would be a great surprise for his 70th birthday. I would like the Champagne and Chocolate hamper because it looks so delicious. If I win I promise to share it with my husband……..If he gets to it quick enough! The Champagne and Chocs Box would certainly be my preferred choice. I deserve it no more and no less than any other entrant highlighted above but it would be destined for my mother’s 84 birthday. The older she and I both get, the more we appreciate how infinitely precious life is, how normality should never be taken for granted and how kindness and smiles mean such a lot when dealing with others around us. It would prompt a rather loud celebratory cheer I might add! I am so stressed last few weeks, would love to win Luxury Picnic Hamper for Four, so could cheer up with lovely family picnic. I would love to win the Champagne & Chocs Box because I’m a bubbly chocoholic! I would love to win the chocolate and champagne hamper as a treat for me and my fiancé ,we are currently saving like mad and putting a lot of extra hours in work to pay for a dream holiday for our children so this would be a lovely treat for us both! Coming down with a cold and feeling sorry for myself so I’d love the Grande hamper to cheer me up. There’s bound to be something to tempt me in that one! I’d love to win the Picnic Hamper For Two as I’m currently planning an autumn day out with an old friend and I and I see this wonderful hamper has a retro look – a bit like my friend and me! Lovely hampers. Thanks for the great giveaway. Because I work nights with my husband and then he snores the whole time I’m trying to sleep! I need chocolate!! 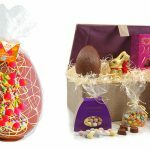 These hampers both look so lovely! I’d choose the Champagne and Chocolates one though because I have such a sweet tooth! I’d love to win as it would be a lovely treat for moving into my new house! Thanks for the chance to win! And I would really be over the moon – if your winner was me! I would love to win the Gourmet Treats Wine Hamper for my hard working Soldier Husband. Not only does he work extremely hard and has just been promoted but he has also been studying hard and just passed his BsC degree. He deserves a wonderful treat and a little bit of down time! I’d love to win the champagne and chocs hamper. It would be a lovely treat as it was my birthday yesterday. I have been going through a rough patch and could do with cheering up! 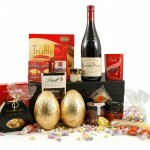 I would choose the champagne and chocolates hamper, my two favourite things! If I could have any hamper I would choose Luxury Picnic Hamper for Four so I can share it with my family as I’ve worked so hard with so much this year it would be good to relax and not do anything even on holiday a couple of weeks ago it was still busy! I would love to win the Champagne & Chocs Box, for my husband’s birthday next week. We are going away and staying in a beautiful cabin in the woods with a log fire etc. and I would just love to be able to sit in the firelight and share some champagne with him! I would like the port and stilton hamper because believe it or not I don’t like champagne! I’d like the Champagne and Chocs hamper- I’ve been working long hours and not seeing my family lately, and it would be fabulous to have an excuse to sit around together with a glass of bubbly of an evening! I would love the Champagne and Chocolates, it’s my birthday today and it would be a lovely treat. I’d love to win the Chapagne and Chocolates hamper because I struggled into work with a bad cold every day last week and it was a week that would have been a nightmare even if I was healthy! Would have to be Luxury Port & Stilton Hamper for me as i love cheese. I am sure everyone deserves to win so not putting a reason as everyone has their own story which they feel is a reason. Oooh the champagne hamper would be amazing. Every girl needs a drop of champagne every now and again. I think I deserve a Champagne hamper because I have dealt with more than my fair share of huge spiders this Autumn, from the enormous one that ran under the sofa to the gigantic one that appeared in the bath and all the others inbetween I have got them all! I would love to win the champagne and chicks hamper because I’m pregnant and have been sick for 28 weeks so would like something to look forward to when it finally stops! The champagne and chocs hamper, I’ve had flu for over a week and I still feel lousy, really need some chocolate to brighten me up!! I deserve to win the luxury port and Stilton hamper as I am a woman that needs a good pamper…as the nights are drawing in and the days are getting glum I could do with something tasty that would be a lovely treat for my tum. I can picture myself by the fire on a chilly and dark night, glass in hand and cheese on plate…choose me you know I am right! definitely champagne and Chocs so that I can treat myself!! The weather’s getting colder & I’m coming down with a cold – NEED some cheering up ! the champagne and chocs as im getting married next month!! I feel i deserve the hamper as I have just got married and I would give it to my beautiful wife as a suprise present. champagne & chocolates please because I simply love both. I REALLY love chocolate , i would love to win this and i might even share it with my family if they are lucky :). I don’t deserve to win over any other entrant. But my family and I would really enjoy the Stilton and Port Hamper. I think my fiance and I deserve this hamper as we have been working hard to help his son who is not very well and he’s thankfully he’s doing a lot better now. 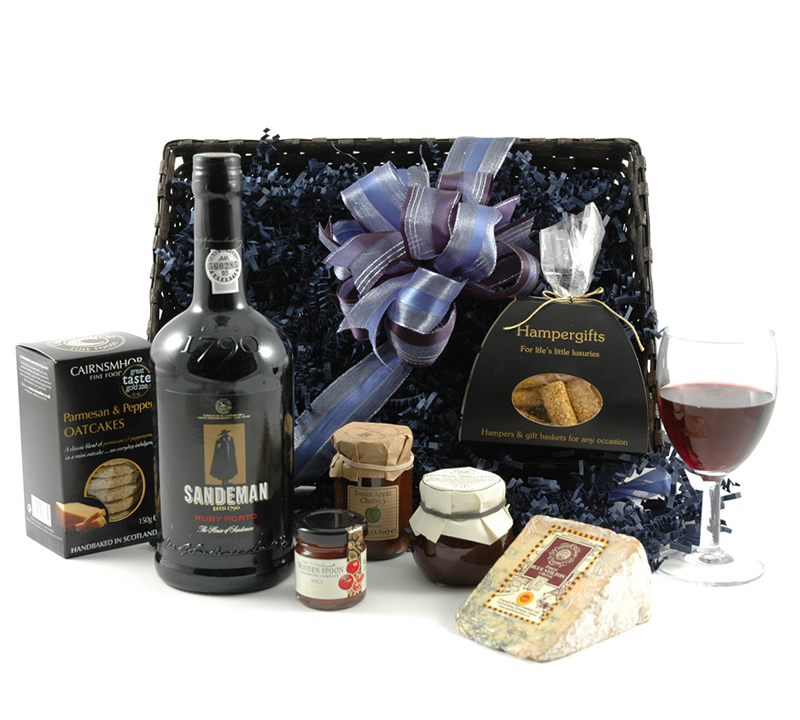 Luxury Port & Stilton Hamper and I would love to share this with my hard-working family. I’ve just organised a pamper birthday party for my daughter and 9 of her friends, believe me, I deserve this!!! I would love the Port and Stilton hamper as they are two of my favourite ingredients and I rarely get to taste them. 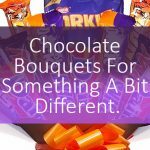 I am feeling sorry for myself, my son has gone to teach in China, my daughter has recently had a baby and i’m in need of a boost in the style of – Champagne & Chocs Box. yay! I would love the champagne and chock box hamper. We are moving into a new home on 29th September and this hamper would be lovely to enjoy with my hubby to help us settle in. It is also our wedding anniversary on 24th September and we are unable to celebrate it on the day because of the move. This would just be fab! The Chocolate Heaven Hamper as I am a huge chocoholic. Don’t know that I “deserve” it but I’d really love it. I deserve the champagne and chocolates hamper because my son had to move back in with me and he is eating me out of house and home ,and he has quadrupled my wash load . I would love the Champagne and Chocs box because I’ve worked hard decorating my son’s room and now have to do my daughter’s room. I would love to win a champagne and chocs hamper for my mum who has really looked after me and my husband over the last year. I would like the Champagne and Chocs. I recently ‘retired ‘- but I have never worked so hard in my life looking after my beautiful two year old granddaughter ! A glass of champagne and a choccy or two would let me relax big time. I would love the champagne and chocs hamper and I think I deserve it because I just had a baby boy! Love the VBourmet treats wine hamper for sharing with the family and caring enough to do so!! I deserve the champage and chocs hamper because Im a chocoholic and am partial to some bubbles! Would love the Luxure Picnic for Hamper Four. would be lovely as a treat id lovely a xmas hamper my fave time of year. I’d love the champagne and chocs hamper, the chocs for my wife, the champagne for my wife and the almonds for me. It’s not that she is greedy, it’s just because it’s our anniversary. Luxury Port & Stilton Hamper by choice. I am sure that there are more deserving people than me to win but but I do try! After lots of toothache and painful dental work I deserve a drink and some chocolate treats! I would be thrilled to win this hamper so I could offer it as a raffle prize for a fundraiser event I am doing in October which will make such a difference to the lives of so many people. Through a variety of reasons we have had to move house three times this year. The champagne and chocolate hamper would be a ray of sunshine after a tough year. I would love the Champagne and chocolate hamper because we are soon moving house after 8 years in our current house and after the stress a treat would be welcome change. Being a new mummy, I would love this treat! I would love the champagne and chocolate box as a prize for my wife for enetering the second year of her degree with renewed vigor and enthusiasm! Its been a tough first year on one wage so treats have been few and far between. I’d love to win the port and stilton hamper to share with my best friend. We’ve both had a but of a rough time this year and have always been there for each other, we share the load and support is unconditional. I would just love the port and stilton hamper. My best friend and I are moving in together soon and I can’t think of a better first evening together than with a glass of port and some stilton on crackers! It will set us up perfectly for a lovely winter. id like to win the Luxury Port & Stilton Hamper but not for me, for my husband, he deserves a treat for being so wonderful and hardworking ! Port and Stilton are two of my favourite things, so this hamper would go to a very good home (it would have a VERY short but happy life!). After many years of full time parenting I’ve finally packed my last child off to school, so I think I deserve a hamper after all that! I’d like the champagne and chocolate hamper to enjoy in peace! Champagne & chocolate hamper for my very hardworking Mum! This would put a smile on my face. Who cares about the winter! I’d like either… although mainly the stilton and port one… and I think I deserve it because I’m feeling a bit down at the moment. I’ve been out of work for a year and today got turned down for a job that was substantially less money than I previously was on. And I love blue cheese. The Stilton hamper would be for my lovely boyfriend who has been supporting me through a degree (mentally and financially!) for the past 4 1/2 years! He is French and loves his cheese! It was my 21st this month and I’m just about to go into my last year of university and do my dissertation. I would love the champagne & chocs hamper to keep me going while I write it! It’s my birthday in October, every girl deserves a little chocolate and champagne luxury on her birthday. I would love to win the Luxury Port & Stilton Hamper to enjoy with my husband on a rare ‘date night’. I don’t think I deserve to win any more than anyone else, but I have been doing a lot of juggling lately, lots of work and lots of life “stuff” so a Saturday night with a Luxury Port & Stilton Hamper would be most welcome. I would love the The Champagne and Chocs Hamper , because it would make a wonderful gift for me at christmas, normally were on a tight budget & things like this im unable to treat myself to, so this would be a real treat. I would love to win a hamper for my mum’s birthday and would be very happy with any hamper! The champagne and chocs hamper looks and sounds amazing! 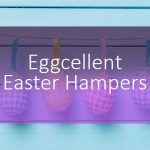 I think I deserve this hamper as I’ve been working really heard lately and i’d love to relax and enjoy this lovely hamper with the boyfriend one weekend whilst catching up on netflix! I would love to win the champagne and chocs box, it would be a birthday present to myself in a couple of weeks! Port and Stilton – I’ve got friends from Europe coming to stay and it would be nice to treat them to some English Stilton washed down with a little poert. I love the Luxury Port & Stilton Hamper, the last 3 years we’ve gone through the mills in this family, so winning this would definitely bring back a big smile on my face! Champagne and chocolates because it would be lovely to celebrate a special occasion with! becuase i work at a university and the students are abbout to decend upon us! im flat out at work and it would be nice to have something to look forward to ! I would love the Champagne & Chocs Box Hamper! Two of my Favourite things! I deserve it because I have been really busy with work and have been going out of my way to make sure everyone is OK..
My favourite season is autumn. There’s a special feeling in the air of fresh walks in the cold sunshine mixed with cosiness and cuddles in the evening. The perfect time of year to indulge in chocolates and cookies by a warm fireside. It’s my wife’s 50th birthday soon and unfortunately I have been unable to treat her to much. This would brighten up her birthday and be a present to remember! If i win i will give the hamper to my sister, who is celebrating her 40 birthday this month. I’d love to win the champagne hamper to celebrate our 1 year wedding anniversary! The Champagne and Chocolate Hamper. My partner proposed in June, but we still haven’t toasted to our new life together. We’ve finally set the date and it would be nice to finally have that celebration that is desperately overdue. I would love to win a Christmas cheer hamper, what a lovely present to have! I’d choose the Luxury Port & Stilton Hamper because, quite simply, I love port and stilton – it’s a match made in heaven. Why do I deserve to win? I’m not sure that I can give you a good reason, other than that it would make me very happy. I deserve the Deluxe Golden Tower because my tooth has just fallen out (not through over-indulgence either). I deserve the hamper as I have had the worst year. I almost died at the start of the year, lost my job, my cousin and friend committed suicide. My g/f split with me. Started taking antidepressants which caused loads of side effects. I would love to win something to cheer myself up, and this hamper looks amazing. 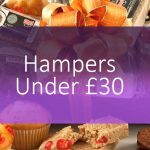 This useful blog for people into hampers, Never thought of making a hamper. i would love to win chocolate and champagne hamper to cheer me up after a bad year. I would love to win a hamper to give to my parents – they deserve it! I”ve not long come home from hospital and i’m sure the hamper would help me get better lol!! A wonderful hamper to win. I would give it as a extra special Christmas gift to my friend Lorraine. Port & Stilton hamper . Perfect. I would love to win the champagne and chocolates hamper – a perfect way to celebrate the arrival of my beautiful new niece! I would love to win the champagne and chocs hamper as a treat for my mum. She has been amazing helping me through a tough time lately and deserves a treat. I’d love to win the champagne & chocs hamper to give to my amazing sister as a thank you for all she does to help our parents. I’m disabled & housebound so can’t do the things she does. She took early retirement to care for Mum & Dad as Mum has severe arthritis & Alzheimer’s & Dad has had a stroke & also has arthritis & angina. I would love a Champagne & Chocs Box to celebrate my 40th birthday this year! I deserve the champagne & chocs hamper because whatever life throws at me I never lose my sparkle. I feel I deserve the Port and Stilton Hamper for finding this fab competition, although I must admit I am partial to good quality cheese and wine, however Champagne and Chocolates tends to bring me out in spots so the choice between two such luscious and delectable hampers, although a predicament, was one I took on with delightful exuberance…..yum! yum! I deserve to win this hamper; as I have just spent 40 minutes browsing through all your hampers and am now salivating. I must admit; they are all wonderfully tantalising and each time I click on a new one; it flirts outrageously with me and I then flirt back; (especially The Stratford and The Wine & Cheese Feast). Right now however, the Luxury Port & Stilton Hamper is beckoning me to sample that award winning Stilton on the award winning Oat Cakes with a little smigin of the award winning Cheese Maker’s Pickle on the side. Delicious!!!!!!! I would love to win the champagne and chocs box. I’ve been working very hard lately trying to get my small business out there, and I’ve been rather stressed out. This would certainly ease the stress off! I would like to win a Xmas cheer hamper – what a lovely present from you to me! I request that I win champagne & chocolate to cheer me up; the Champagne & Chocs Box would be perfect. I would love to win the champagne and chocs hamler because I would share it with my family and most of all enjoy each and every mouthful. I would love the Port and Stilton to toast my lovely hubby on receiving his MBE. sharing the tasty contents of the hamper my partner as we toast and plan what to do with our new found freedom. I would love to win a hamper as my wedding anniversary is fast approaching and the bank account is sick, probably terminal….so I would love to be able to raise a glass of champagne with my lovely Husband and toast 9 years, happy, in love but still broke!! !